The membership year runs from 1st April to 31st March each year. Students in full time education will receive a discount on membership fees (Not EAA fees). 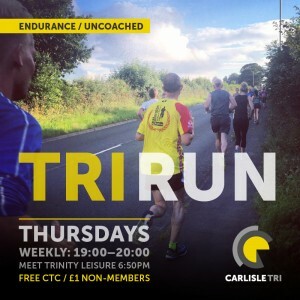 ALL members will be expected to marshal, or have a friend or family member marshal for them, at least one Carlisle Tri Club event in a 12 month period. 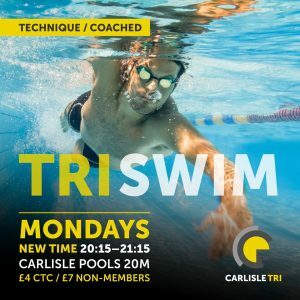 When entering events, please enter as Carlisle Tri Club. 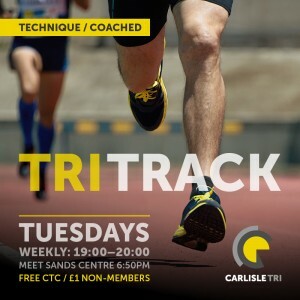 FREE coached run sessions, discounted coached swim sessions (worth £3 per session). £5 off first treatment and 10% discount off sports therapy / massage sessions with Kathryn Osborne Sports and Exercise Therapy. Alongside the opportunity to join England Athletics (extra £14) you can join British Triathlon at a discounted rate of £40 per year (£11 discount). As a BT member, alongside discounted race entry you will receive other benefits. 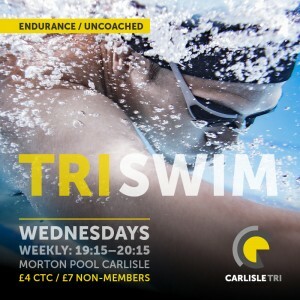 See British Triathlon website for details.